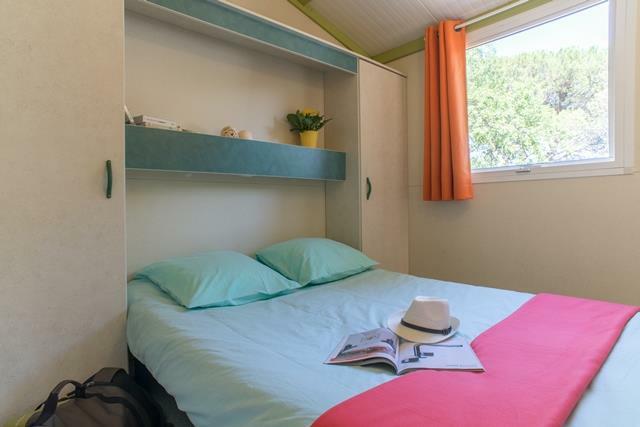 If you reserve our Morea chalet, you will have a quality chalet with a cosy interior. 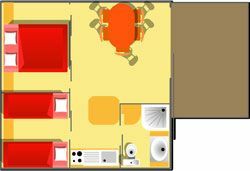 it is big enough for 4/5 people. 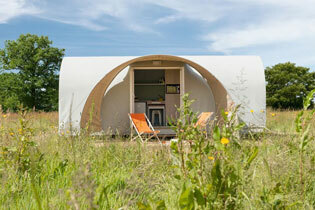 We recommend it for couples with young children because it comprises of two bedrooms. 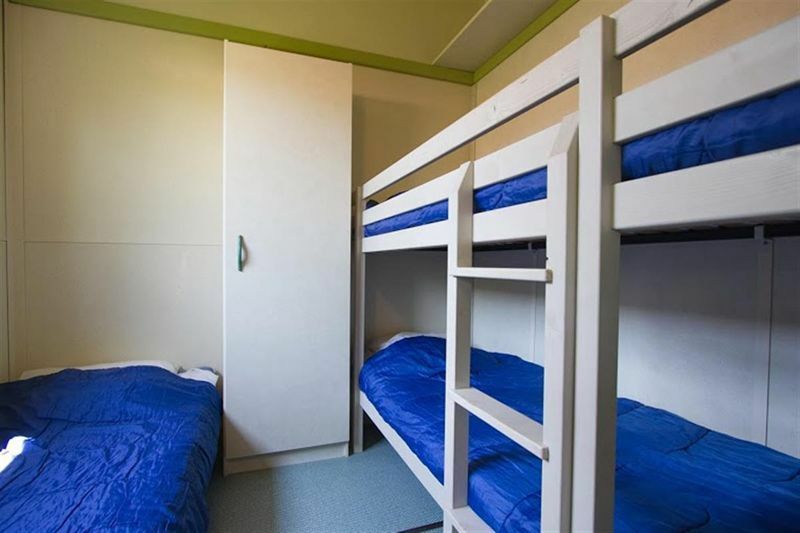 One bedroom for the parents and the other bedroom with a single and bunk bed. 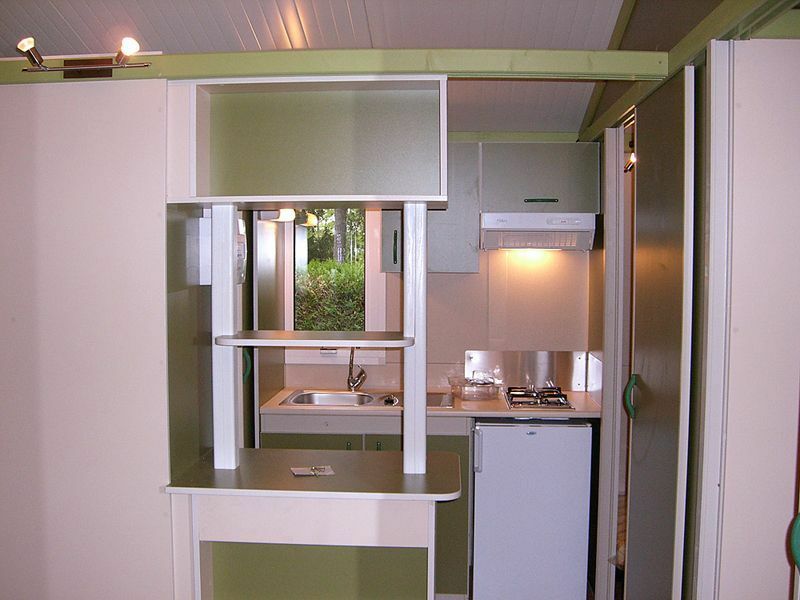 A spacious lounge and fully equipped kitchen with hob, microwave and fridge. 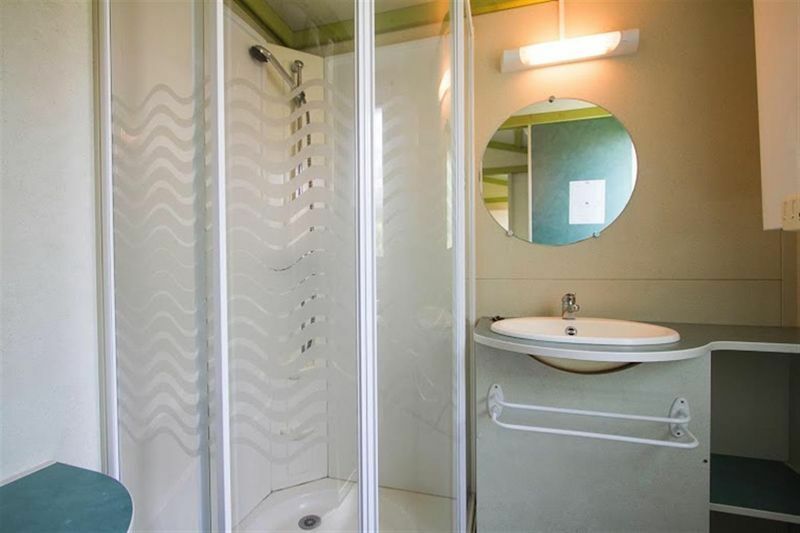 There is a bathroom with shower and toilet. 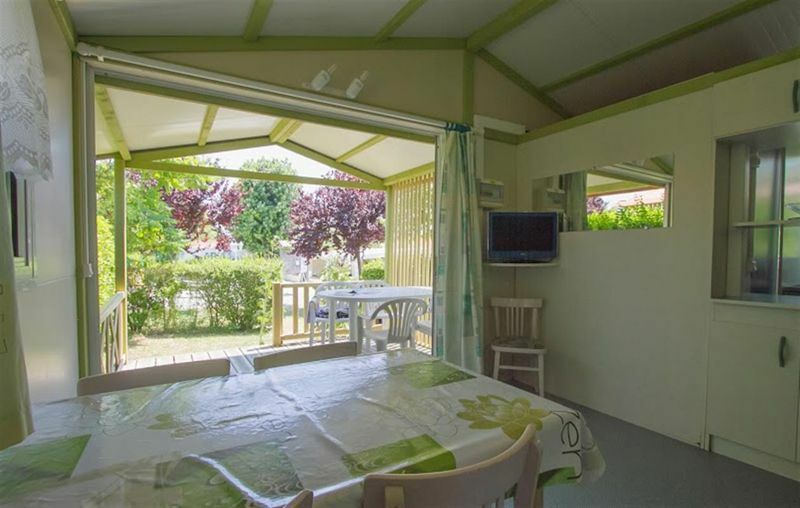 This chalet in the Dordogne has a private, covered terrace with garden furniture. 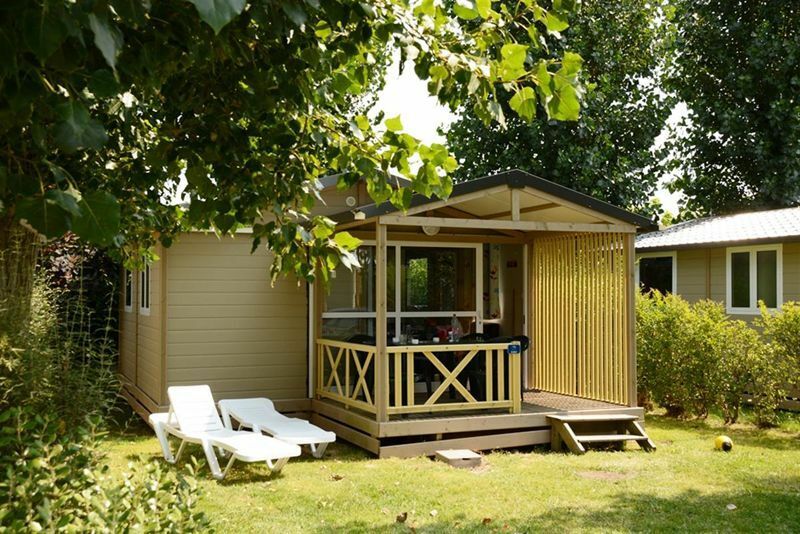 Reserve your holiday in the Morea chalet on the 4-star campsite at Soleil d'Oc » accepts camping cheques.